Sunset and Rainbow over river Thames - I.A. Variable weather in London is something that I am still getting used to. Sunny mornings and cold afternoons or cold mornings and hot afternoons are something you have to get used to and be prepare. But London is a big charmer so you can always have a really nice day even if it rains outside and you have to wear sweater in july... 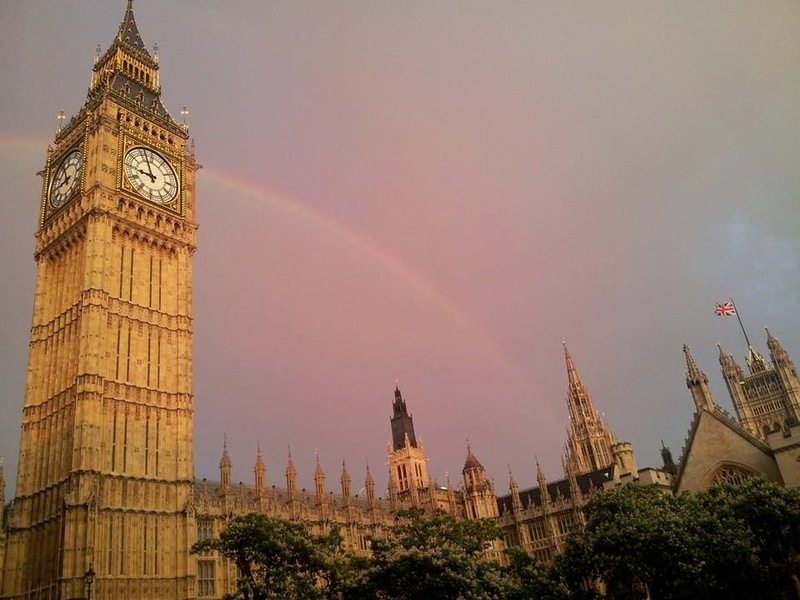 This day was crazy but beautiful...I saw awesome sunset over river Thames and rainbow over Big Ben. Enough for me . Your London trip Looks phenomenal! I think you have the best hair I have ever seen! These pics are magical!! !I LOVVVVVE the rainbow! and you have the best hair!!! have fun in London babe! Amazing pics dear keep in touch. i want to visit London also, such an amazing place ! Beautifu, I love these pictures! London is magic. Love these pictures.